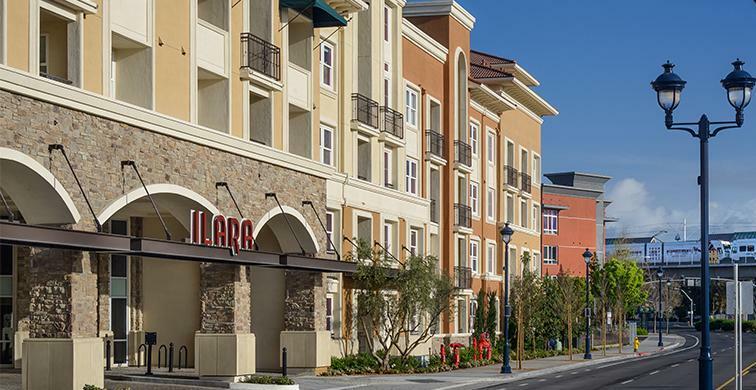 Barnum & Celillo Electric, Inc. Completes State of the Art IlaraBarnum & Celillo Electric, Inc.
Barnum & Celillo Electric, Inc. has completed the Ilara apartments in Milpitas, CA. This 200 unit, four story apartment building is located in Silicon Valley minutes away from the Great Mall and the I-880 Freeway. The project began in 2013 and was built with podium style construction including a gated parking garage with electric car charging stations and rooftop parking. Amenities also include a pool, spa, resident lounge, gaming room, television screening area, bar, fitness center, WI-FI café, E-Business Pods and even a fully appointed sky deck. This Shea Properties facility is beautifully appointed with state of the art living spaces which fills the ever growing Silicon Valley.